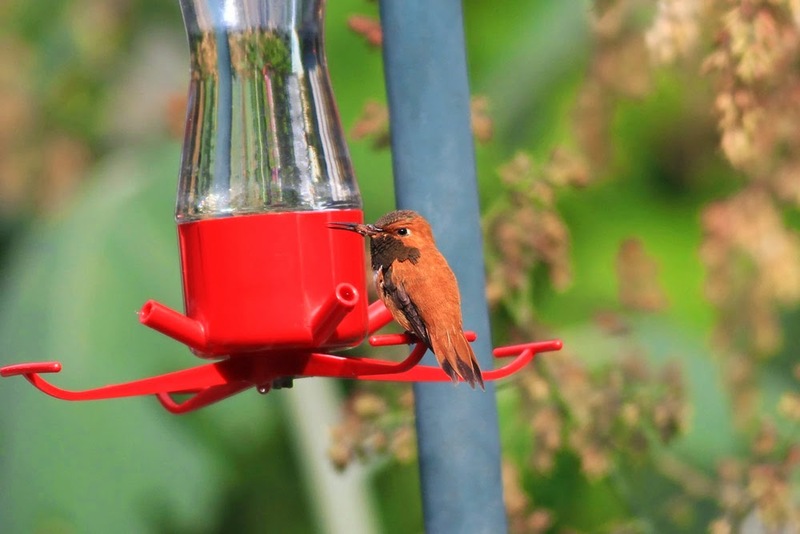 On July 29th Charles Makarewich spotted an adult male RUFOUS HUMMINGBIRD coming to his feeders in Kent, CT. This morning Jake Musser and I drove up to Kent to check out the bird, a stunning individual. Of note, the bird has an obvious bill deformity that may be disease related rather than the result of trauma. Folks are looking into this now. The bird appeared to behave in a fully healthy manner, actively defending his feeder and, per Charles, successfully flycatching in the evenings. A huge "thank you" to Charles for reporting the bird and being so willing to share it with others!